The Switch is Nintendo's 7th home console 5th handheld newest hardware. After the Wii U's struggles over the past four years, especially with advertising and PR, this is Nintendo's attempt to get people back on board and right the ship. This the traditional couch playing mode. The Switch comes with a dock that uses an HDMI cable to broadcast the Switch to your TV. This is where the Switch acts like a regular home console, and there's not much else to say. 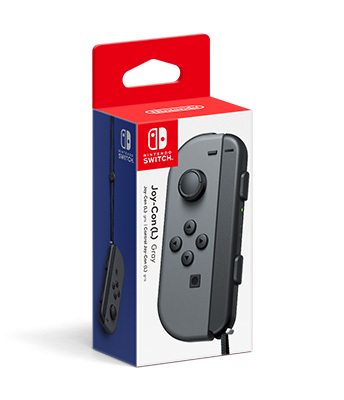 You can play using the game's controller (Joycons) separated or together (there is a grip included in box to give the joycons a controller form factor, but it does NOT charge the Joycons), or you can opt for something more typical like the pro controller (Sold Separately). The mobile mode, this is just taking the Switch out of the dock and playing on it. The Joycons slide on to each half of the console, giving you a more handheld experience. Battery life will vary based on the game and what you are doing, with estimates being a broad 2-6 hours. Breath of Wild was used as a benchmark, going three hours on a single charge. People are saying something like Shovel Knight can go as long as 7 hours. The general rule of thumb is that polygon-based games will drain the battery roughly twice as fast as ones uses sprites or less demanding graphics. 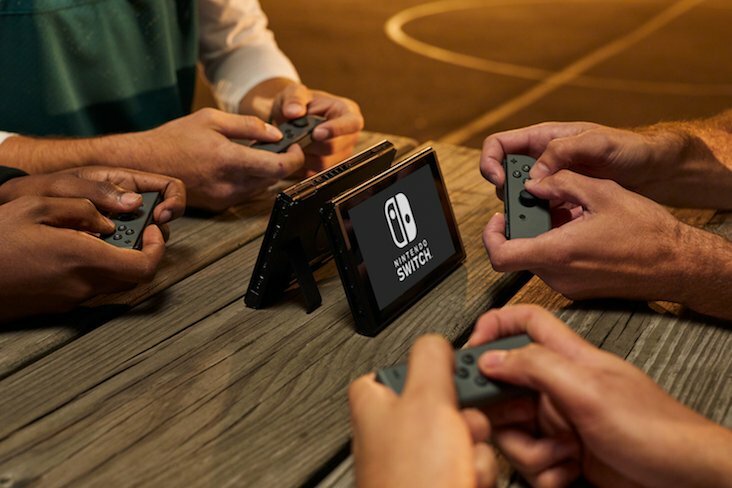 Switches can also connect to up to seven additional Switches for local multiplayer purposes. Tabletop mode is basically handheld, but the Switch has a little kickstand that lets you prop it up. Each half of a Joycon can operate as its own independent controller, so you can use this mode to play games with another person. The Joycons also have an attachment called a strap that slides in and gives you better L/R button and a bit more grip. It's worth noting that ALL controllers work in this mode, including the pro controller, so you don't need a bunch of joycons. Oh, and the Switch won't be region locked. Prepare to import. 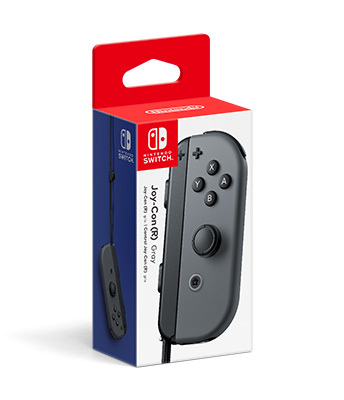 You have the option to buy a Switch with black Joycons or Red/Blue Joycons. CHOICES! There is also no shortage of bundles coming out, and they usually save you some cash by coming with a game or extra accessory, so I'd keep an eye out for those instead of buying the base system. Need more crap? Accessories are available if you got cash to burn. Want a more traditional controller? That'll be seventy bucks, pal. 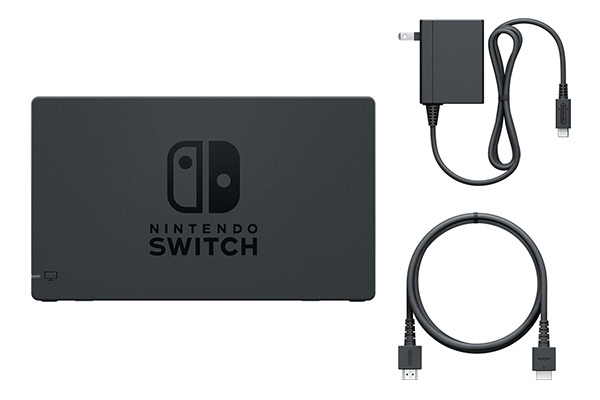 As a bonus, it comes with a USB to USB-C cable that can also charge the Switch itself, and the Pro can connect to your bluetooth-enabled PC with little difficulty. The Pro has most of the features of the joycons, including motion controls, HD rumble, and NFC support. I don't think it has the infrared scanner thing, however. 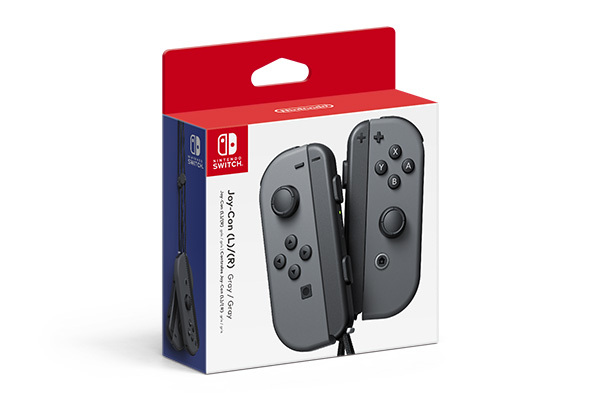 Additional Joycons can be purchased for a hefty fee. They do come with two straps, however. Lose just ONE Joycon? Nintendo has got you covered, although they will charge you an extra ten dollars more than what they cost bundled together. Because business. 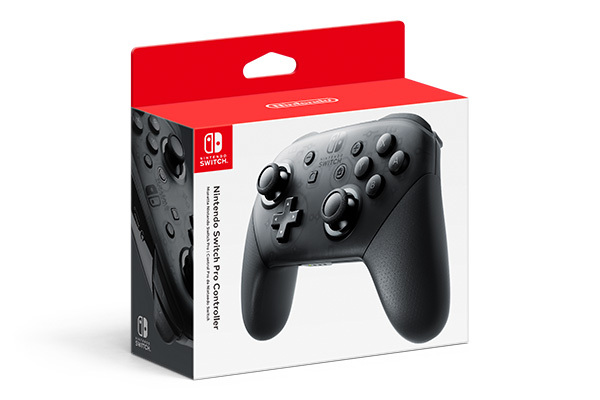 That pro controller sure was pricey, wasn't it? 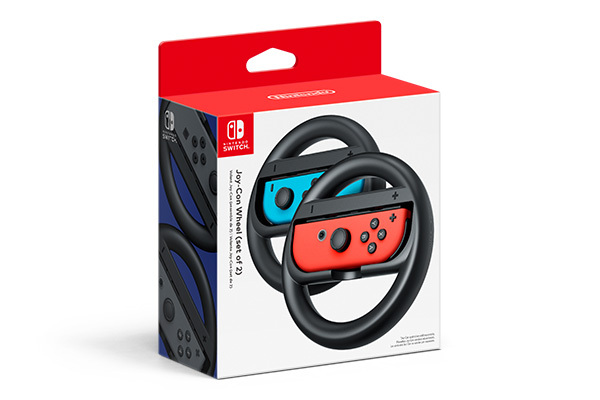 Well, for less than half the cost, you can just slap your joycons in this thing and get a similar experience while pretending it's a dog or something. 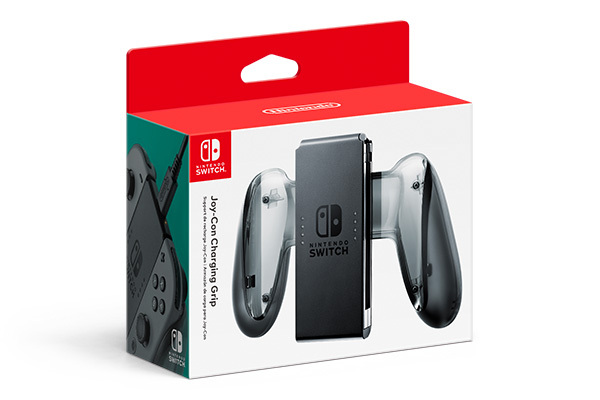 This one also charges your joycons while they're connected to it, unlike the one that comes with the Switch because Nintendo is cheap. Because you really want a wheel icon next to your name in Mario Kart. Slap a joycon in and race or just use it as a very awkward controller grip. Breakdowns of the dock expose this thing as being hilariously overpriced. Please don't buy it. The Switch will probably be Nintendo's biggest step forward regarding online play since it actually added online services to its hardware. It seems like Nintendo is finally learning from its contemporaries, having all online stuff managed from your Nintendo account. Sadly, Nintendo is also learning from its contemporaries in that they're going to charge us just to play online. The good news is that the service is fairly cheap, being $3.99 on a month by month basis, or $20 for a year. Another popular thing to do is join in with other people on a Family Account, which is $34.99 a year for up to eight people. That's less than five bucks a YEAR, so I'd definitely go that route if you can find the people. Check out the chart to see what a subscription gets you versus being a plebeian who thinks online play should be a basic free service. The monthly game downloads may have caught your eye. Nintendo is doing something new, and they're launching a Netflix-esque service for their catalog of classic games. While subscribed to Nintendo Online, you'll have access this library along with bonus features like online leaderboards and multiplayer. It's (currently) just NES titles, and they've been adding new titles each month. What's the battery life for everything? The Switch: 2-6 hours depending on the game. As a rule of thumb, 3D games like Zelda or Mario will last about three hours. A game with sprites or 2D effects like Shovel Knight will last about 6-7 hours. Joycons: 20 hours. Note that that do not draw power from the Switch when attached to it and in portable mode. Pro Controller: 40 hours. The dock does have three USB ports that can be used to charge. Is the Switch backwards compatible? No, it uses carts and has no disc drive to play Wii U media. And no, it's also not backwards compatible with the 3DS, DS, or any other Nintendo system. Do the carts really taste bad? Yes, they are coated in denatonium benzoate, which is one of the most bitter compounds for humans. It's meant as a deterrent against children eating them. Don't lick the cart, dummy. Can I go online in portable mode? Yes. Also, while it has no browser, if you are at a place with Wi-Fi, there will be an applet that lets you pay/agree to their terms so you can get online. Are there seriously friend codes? Yeah, who knows why. The good news is that when you punch in someone's code, they'll get a request instead of playing this game of "Did you send it?" Furthermore, more options are set to be added like traditional friend requests through your Nintendo account, which...raises the question of why use friend codes in the first place. Nope! Import to your heart's content. You can even switch regions on the eShop, BUT you will lose whatever current balance your account has in its current region. So spend your money first. Can I connect to the TV using third-party USB-C cables? No, for whatever reason the Switch must be docked to display on the TV. Will I be able to recharge the Switch using a portable power bank used for cell phones? The Switch uses about 30-40 Watts, which exceeds most portable power sources right now. It also doesn't use quickcharging functionality of USB-C, so that's another concern. In other words, your average power brick may extend your Switch's battery life by an 60-90 minutes depending on the wattage, but your system will still consume power. This is dependent on the game, however, and you'll get more juice out of a power bank while playing Shovel Knight than Breath of the Wild. However power banks for phones WILL take significantly longer to charge the thing while the power is off (we're talking eight hours in some cases). There are a few 15v/3A batteries meant for MacBooks that DO charge the Switch, but at a rate of like 1% every five minutes. To be honest, there are serious cost/value considerations to make, as a laptop charger that can feed the Switch will run into the triple digits. Do you really need 20+ hours of Switch battery? If not, then consider a $50ish dollar power bank for just the Switch, one with 5V/3A that has a USB-C slot, and use a high-quality USB-C cable to charge. It will, at the very least, double your Switch's battery life even if it's not the most efficient charging solution. tl;dr: most phone chargers are good for extending the battery, but not recharging a system. Try to get as close to 15V/2.6A as possible, and use USB-C instead of USB-C to regular USB. Which screen protector should I used? Tempered glass. While plastic ones are cheaper, they themselves are prone to being easily scratched, which means you'll have to replace them every so often. On top of this, tempered glass feels better when using the touch screen, and they tend to be easier to apply (fewer bubbles). Tempered glass will set you back more cash, but you'll save more in the long run. Right now, amFilm is the screen of choice for most people. How much memory does the Switch have? 32 GB, of which around 25 is usable. For reference, Breath of the Wild uses around 13GB. You can use micro-SD cards to expand the memory. Because Switch carts are so small, I recommend a micro-SD with plenty of memory, because Switch games will be large and it defeats the purpose of going digital if instead of 32GB carts you're just swapping 32GB SD cards. A Sandisk Ultra with 128GB of memory should last you a while. What's up with the Joycon desync issue? Some left joycons have manufacturing defects that make their signal weaker and easier to block. If you think yours is acting up, then you can ship it off to Nintendo for a free repair. Just...hope you have a Pro Controller or something while you wait. Can the pro controller cable be used to charge the Switch? Yes, the cable that comes with the Pro Controller can be used like any other USB to USB-C cable. Hook it up to power banks, charge your pro controller through your PC's USB ports: go wild. It's dead? Nintendo has stated that their online service (which offers a Netflix-esque selection of classic games while subscribed) will NOT be replacing Virtual Console. But...VC as a brand is dead, so it remains to be seen if any kind of option to buy classic games besides Switch Online membership. Does this mean end of the line for the 3DS/Wii U? The Wii U has been dead, and the 3DS is running on fumes. This year has mostly been a lot of ports for the 3DS, with Luigi's Mansion being the "marquee" holiday title for 2018 and a second Mario & Luigi remake for early 2019. There are some third-party titles here and there, but it seems like Nintendo (and most publishers) are ready to embrace the Switch as the future. The Switch will have games, making it a true revolution in the industry. Oh, and in case you missed it: the Switch is not region locked. You can create separate accounts for other regions and access their eShops there. All dates are for NA. The following games are almost unanimously praised by the community. If you need a place to start, make it here. But what other games are good? A fun and addictive golfing game that has a lot of customization. Some of the NPC side quest stuff drags a bit, but not enough to ruin the fun. Highly recommended! This short indie game tasks players — who control the titular priestess Kamiko — to take down demons and complete puzzles along the way, racking up combos. With 3 characters to choose from, each playthrough handles differently. Are they still making games for this!? Seems it was up on the eShop briefly, and a few people grabbed it and are now playing even though it's been taken down again. Sounds like it looks impressive graphically, with options to scale it back for better battery life which is a neat feature. I've learned about Warfame through this thread and am excited to check it out. I know it has a multiplayer component but based on the Switch store entry and comments here, I can't tell if I will be able to play offline. Anyone know? I have a 15 hour flight to Seoul and then a 6 hour flight to Vietnam coming up Wednesday - I have been saving a bunch of single player games for these flights and am wondering if Warframe should make the list. VC branding was "retired" to be specific. Also Reggie recently re-iterated Nintendo Online as an example of their ongoing "efforts" to bring retro games to Switch, in lieu of an N64 Classic. Out of curiosity, are accounts shared betwee steam and this? Warframe can't be played offline. 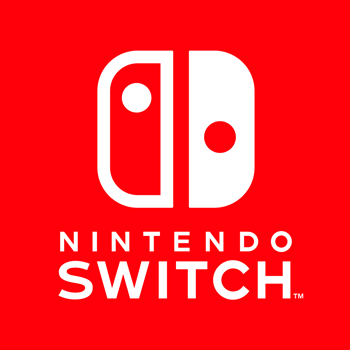 There will be a 1 time account migration if you want to transfer your PC account permanently to the Switch. it's not a transfer, it's a copy, your PC account remains after copying it to the switch and after the initial copying they are treated as totally separate accounts. If anybody was looking for a switch this holiday season one of the jewelry stores is giving away one free with a slight purchase, only $1200 mininum. Finally got a replacement dock from Nintendo. No more visual and audio malfunctions! Yay! 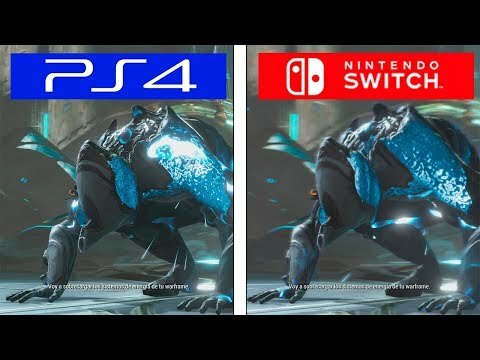 I had problems on the PS4 with Warframe, notably in the hub areas, I'll be interested to see if that's still manageable on the Switch. What do you mean by that? Framerate issues? Game difficulty? I'm thinking Framerate issues. By Hub areas, he means the areas where you can see players congregate. 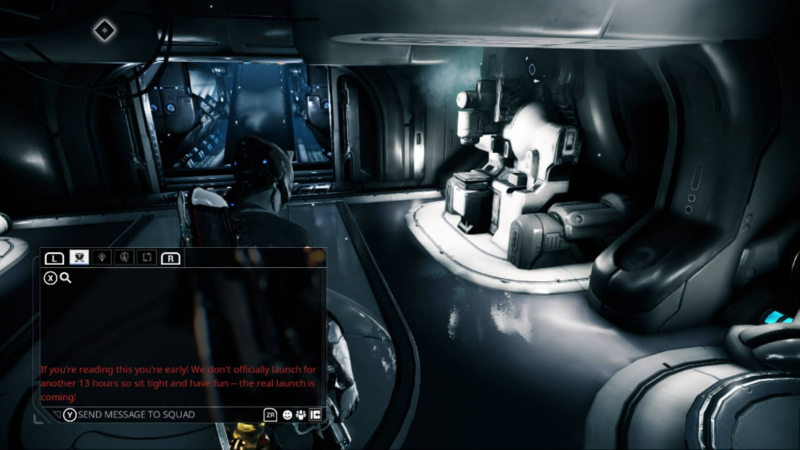 Warframe is an instanced MMO, meaning that yes the Hubs are filled with players but once you step into a mission or into the open world areas, you're on your own server unless you partied. Hub areas have no actual enemies there, it's mainly just a place to gear up, get quests, return for rewards, clear bounties, and make friends/groups for more missions. I haven't played on the PS4, but I imagine having 200 players on screen on the Switch is daunting for the hardware. I do recall the big hub areas in Warframe being a bit laggy on PS4. People warping around and such. The rest of the game played perfectly fine, though. I did primarily play solo, so that probably helps. I also don't recall ever really needing to visit the hub areas. Pretty much anything I needed to do that wasn't in a mission, I just did from my ship. Also Mag is the best. If you're playing Warframe for the first time on Switch, pick Mag as your free starting character because she's space ninja Magneto and she rules. Hmm most advice online seems to recommend Excalibur for newbies. Well those people are wrong! Excalibur is boring and doesn't have Magneto powers. Also, IIRC when you start a new game now, you get the option of a bow and arrow or auto crossbow thing as a starting weapon. I recommend either of those, especially the auto crossbow, as they are completely silent and super powerful. Almost OP really, unless they were nerfed since the last time I played. I picked Excalibur on my account on my computer, Skull is not wrong, it is kind of boring. The game itself is fun though, kind of grindy, and totally worth your time considering it is 'Free' if you're into those MMO Action RPG games. Hah! Excalibur is boring, but I'd still say probably the best starting choice for a new player. He is pretty straight forward and IIRC you can get the other two fairly quickly compared to when you could otherwise get Excalibur. That all said, my first frame was Loki from way back when he was one of the starting frames. I love Loki, but holy cats he was not a good starter frame. Not surprised he was replaced. Mag's pretty straight forward too, I think. It's been a long time since I started fresh, but I don't remember being lost or confused using Mag. Her starting shields are a bit low maybe? Her powers make up for it, though. I don't think that the first frame matters super much. There's some difference in durability, but if all you can do is mash buttons, mashing buttons is probably still all you need to do. I'm moderately confident that none of the three are super annoying to build later. I'm being peer-pressured into picking up Diablo 3 by my geographically-dispersed chums. Do I need a Nintendo Switch Online subscription to play? Is there voice chat in that app, or will I need to use something like Discord? Yeah, you need an online subscription to play online, and voice chat is in the Switch app, but most people would prefer to use Discord. Or just Google Hangouts calls too, I've found they work pretty great and consistently, I always hear strange effects with the Discord codec, like, its auto pickup gets things a half second late or does delayed robo voice sounds. I mean of course you can tell the difference, but it's crazy that it runs this well at all to me. 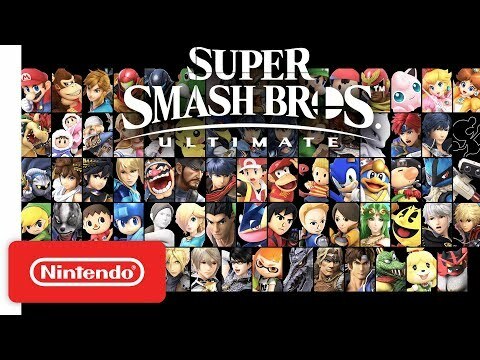 Still on the fence about or confused by Smash Bros.? Why not get an explanation of the game straight from... THE ANNOUNCER!! I'm consistently impressed with some of the visuals I see on the Switch. Especially the direct ports, as first party titles tend to have their art style do a lot of the heavy lifting in obfuscating the underpowered hardware. The Switch is something like half the power of an Xbox One or PS4, but these games look about 3/4 as good? Is that even making sense? No that makes sense. It feels like it punches above what it should be able to. I dunno if I would say 3/4ths as good but that's all subjective. I think primarily the difference is in resolution and frames per second, and when I see all the effects and bloom and shadows intact that's pretty dang good to me. I don't know if I would put a number on it.  When there aren't active detriments, like severe object/enemy pop-in or zero shadows, I can't see it as a significant downport. 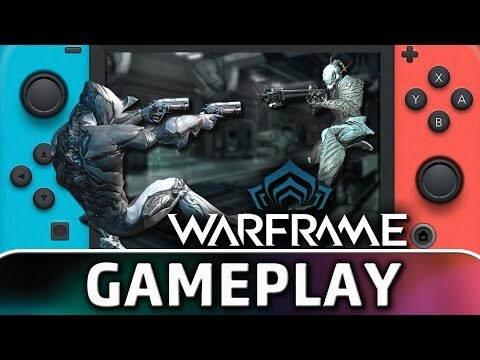 Hello Switch thread and welcome to any of you getting on the Warframe train! Apparently Nintennos want to install this to the main hard drive and not an SD card to cut down on any loading issues. The SD card access speed makes loading noticeably slower, especially in regards to PoE and Fortuna. Just pull the SD Card before you install Warframe to make sure you install to the internal Switch memory. The OP has tons of useful info and I'll be firing up a Switch section as soon as I get back home! That looks great. Definitely notice the Resolution and FPS degradation, but gosh dang does that still look impressive. Love the Switch, man. I'll say what I said in the Warframe thread -- maybe look at your internal storage situation and think carefully about it. All your save files have to live on that 32 gigs of storage and Warframe is 12.5 gigs (plus future updates). There are already a lot of large save files for games out there. I just started playing at home docked and IMO it looks even better than the above video. I don't know if that's just youtube compression, or if they captured it in portable mode, or if it's due to a lack of comparison side-by-side. Drat, can't play Warframe. Every time I try to start it the game gives me a Login Failed error. Edit: seems to be a common problem that fixed itself. Wait ... what? I started downloading this more than an hour ago and it isn't even halfway done yet (more like a third ... maybe) ... those of us with slow internet cry daily. So ... am I doomed to have to stop this download and go through all the trouble of taking out the SD card then starting the download again? That seems ... IDK ... not optimal. Maybe I should just forgo the nice things in life ... sigh. No no, try it out on SD card first, see if it's a problem for you. IMO it feels fine. I was quite happy to notice that Sega Ages: Phantasy Star finally has a US release date and price. December 13th and $7.99. I will be using the dungeon map feature without shame.